I’m so so so so so stoked about what’s happening next week! We are exactly one week away from the FreezEasy freezer cooking meal plan release. I’ve been hard at work getting 5 (yes, 5!!!) brand new meal plans ready for you. I have set up 5 different sets of meal plans with all different recipes for FreezEasy, and I’ve tweaked some existing freezer cooking meals plans here on $5 Dinners and will include them there as well. All of the 5 brand new meal plans will make up 10 meals. And let me tell you how long it took to pull them all together…the longest one took me 53 minutes…yes, 10 meals into the freezer in 53 minutes. Another took me 45 minutes, another even less time than that. As you can tell, I’ve strategically picked recipes that are FAST to pull together. They are also family friendly, budget friendly and will totally save your crazy weeknight dinners. 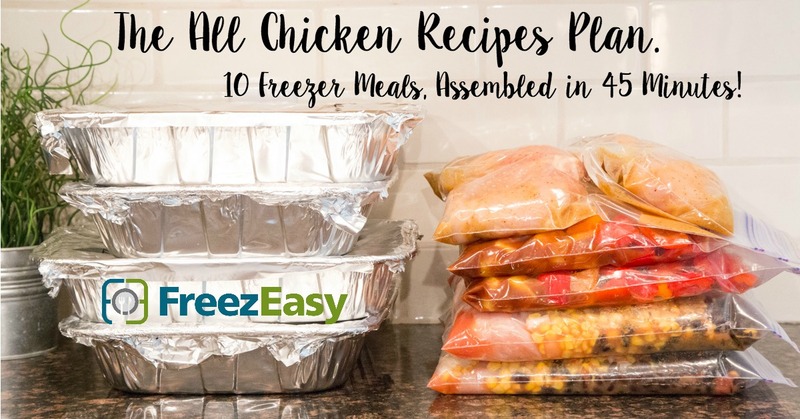 If you’ve never done prepared meals for your freezer, these new meal plans are the very best there are available – including recipes, assembly directions, different types of shopping lists…and the best part: an assembly video where I walk you through the entire process…step by step. 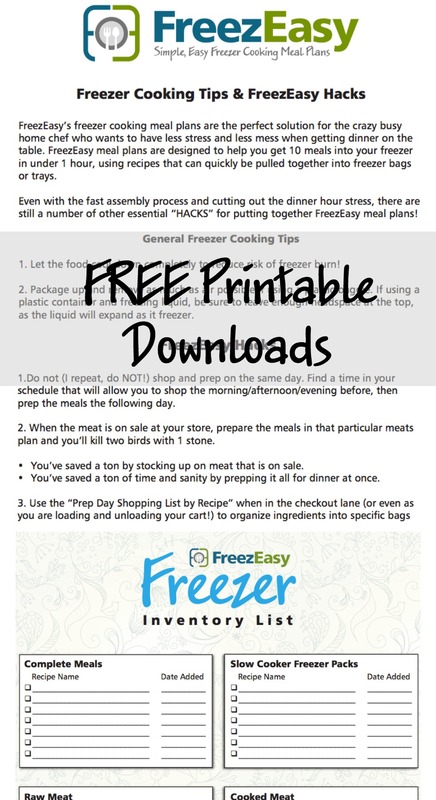 I’m offering a FreezEasy Freezer Inventory List & the Freezer Cooking Tips & FreezEasy Hacks Sheet for FREE! Both are must haves for every freezer cooking home chef or home chef who needs help and knows that freezer cooking will help! The new meal plans will be available, starting next Tuesday, February 16th! Grab your free printables and learn more about the all new FreezEasy meal plans by dropping your name & email below! I would love the freezer cooking tips & hacks sheets.